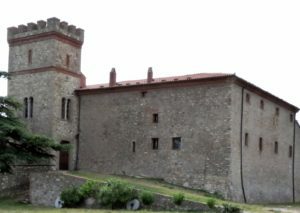 The settlement was built as a castle for the control of the eastern part of the municipal territory of Cinigiano, at the foot of the natural reserve Poggio all’Olmo. The castle complex developed in medieval times and was in possession of the Aldobrandeschi family. 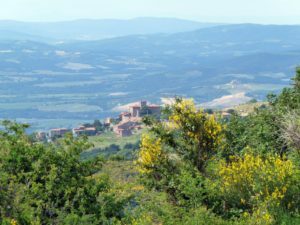 During the thirteenth century it came under the control of local lords and was later transferred to the abbey of San Salvatore al Monte Amiata. In the following centuries the castle became property of the Sienese Piccolomini family-Bandini and underwent various interventions editing and restoration, particularly in the sixteenth century, and between the nineteenth and the early twentieth century when it was restored to a large extent in neo-medieval style.